ONE of Todmorden’s biggest employers has closed, resulting in the loss of 100 jobs. Shell-shocked staff at James H Sutcliffe & Son Ltd were sent home last Thursday by administrators, BDO, bringing to an end 124 years of production by the company. Traditionally the company has had a week’s break in September and some staff say they have not been paid for their final week’s work last week. Sutcliffe’s was bought by the Radford Furniture Company, of Leyburn, North Yorkshire, last December and Radford’s other divisions are trading as normal, including Nathan Furniture which has an office and warehouse annexed to Sutcliffe’s Frostholme Mill, Cornholme, site. Radford chairman Nicholas Radford said that Sutcliffe’s came with its challenges, within the context of a very difficult retail environment, and despite a significant injection of cash and reduction in costs the “widely predicated upturn in the economy had not materialised”. “We hope that we can work with the administrators to find a positive outcome,” he said. It is being reported in the woodworking trade press that the BDO - who have appointed Tracey Lee Pye and Dermot Justin Power as joint administrators - were called in by Barclays Bank, believed to be the firm’s principal creditor. The demise of one of Todmorden’s oldest manufacturers has caused huge shock in the town, with business leaders concerned for the families affected and the knock-on effect it could have on the local economy. 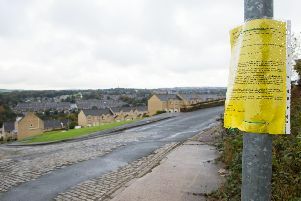 Michael Uren, chairman of Todmorden Business Association, said: “It’s disastrous for such a major employer of the community to be lost. It’s just another blow in a climate that’s really tight at the moment. Local businesses are going to suffer because people aren’t going to have the wages to spend. Local politicians have also spoken of their shock after hearing the news and have urged the community to pull together to help everybody affected by the redundancies. Leader of Calderdale Council and Calder Ward Councillor Janet Battye said: “I think it’s a real shame that this business has closed. We hope that we will be able to help a lot of people who have lost their jobs. “Calderdale Business Support will be working with Job Centre Plus to help people who are losing their jobs at Sutcliffe’s. Only this month the company’s publicity promised an exciting new era for Sutcliffe’s with the launch of a new Adelphi range of living and dining room furniture destined for independent furniture stores from December. Sutcliffe’s has a long-standing reputation of making high quality furniture and town Mayor Coun Richard White expressed the hope a buyer could still be found. Sutcliffe’s - affectionately known to generations of Todmordians as “Jim Harry’s” - moved to Frostholme in the early 1990s, consolidating operations on the 143,000 sq feet site. From the 1950s Sutcliffe’s began to manufacture the high-quality furniture for the mid and high ends of the market for which it became renowned, its workforce having high levels of skill and the end products being finished to a high specification.